Red Nose Day will hit our television screens tonight, for its twenty-ninth year, with a star-studded show to raise money for Comic Relief. It’s a must-watch for many people across the UK, sparking a range of emotions with a mixture of comedy sketches and serious messages appealing for donations. Comic Relief funds more than 2,000 projects in the UK, and has helped more than 11.5 million people in South Africa in the last year alone. This year the charity has chosen five key poignant issues to focus on, including mental health and domestic violence. Without a doubt this is a worthwhile cause to support, but charity campaigns are becoming difficult when the public is increasingly being asked to donate money. The more traditional methods of fundraising like collection tins and bag packing are no longer effective as standalone events, and need to be part of a multi-channel campaign. Comic Relief’s Red Nose Day has been around for almost 30 years, and is keeping up with the trends by embracing the selfie and twitter culture, using celebrity involvement and live streaming to reach new demographics. 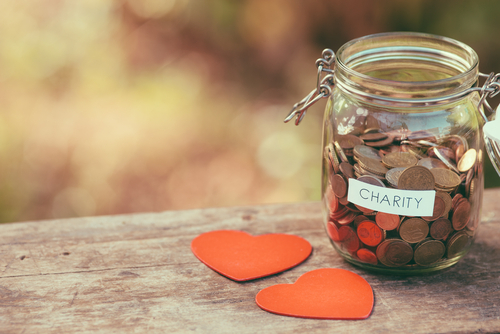 All charities have a worthwhile cause that they are passionate about, but it’s vital to convey the message in the right way to raise awareness and vital funding. The key to raising awareness and engagement with your charity is to establish your target audience and create an emotional connection. If you want people to support you and part with their hard-earned cash then you need to demonstrate the purpose of your charity, and the difference you make to peoples lives through emotive stories. As an agency we are proud to support a number of causes and will always do our bit for charity when we can! Just last week we attended the Ronald McDonald House Charity (RMHC) Gala Dinner in London. We’re proud supporters of RMHC, and it is always so moving to hear about the work they do to support families at such a difficult time is incredible. Are you struggling to raise awareness of your charity? Or need help raising vital funds? If so then get in touch, we’ll help you get the right message out there, to the right people.